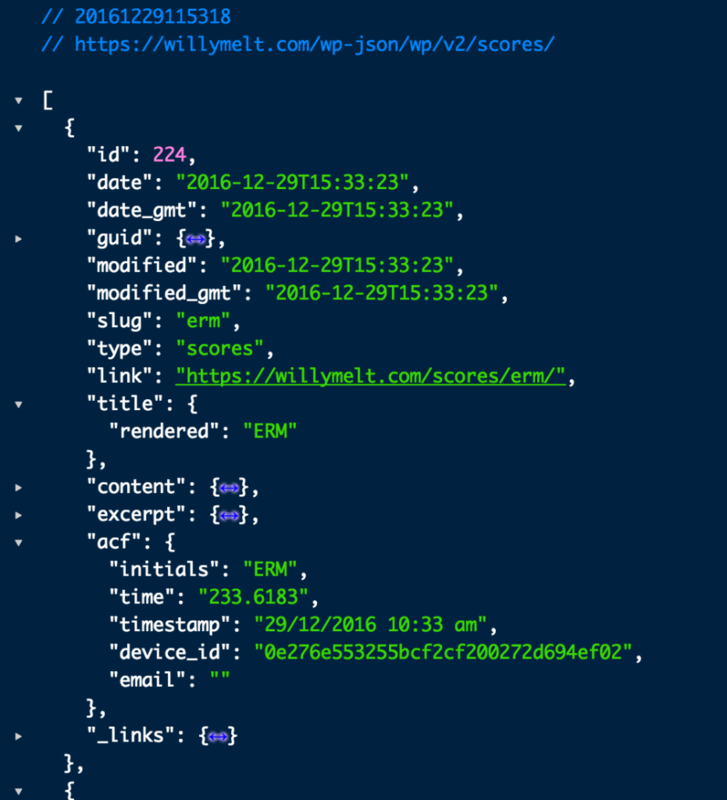 Willy Melt uses the WordPress REST API for your high scores. At Brown Bag Marketing our holiday mascot is Willy Melt. Each year we send out holiday cheer with his help. Lately our cheer has been more and more technical: from augmented reality to virtual reality. 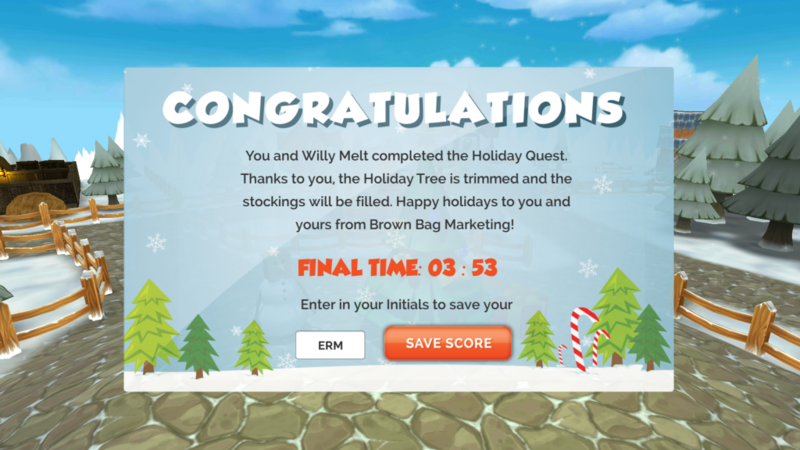 We were pleased to release a mobile game this past year (2016) dealing with Willy’s Holiday Quest to find and restore tree ornaments. Users had to find missing ornaments around town and redecorate the holiday tree, and as with any decent game, you get scores based on your performance. 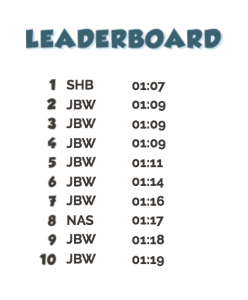 We wanted a nice way to keep these scores for a leaderboard within the mobile game, but also a way to display the high scores on the willy melt website. 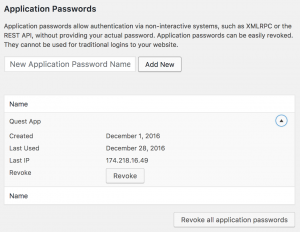 With our close watch on the WordPress REST API release we figured it’d be a great way to use it! 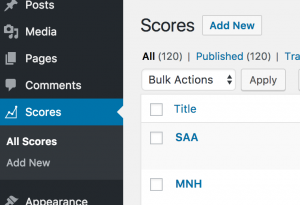 With our WordPress development chops it was easy enough to create a custom post type for scores and give it all the custom fields we’d need to track them. We’ve got retro initials and score as well as a few others to track device ids and emails etc. This is using the familiar orderby=meta_value_num and then setting our meta_key to the time value which since we’re using the user’s time as their score is the custom field we’re using to store the user score.